Life has been rather random lately and I've had trouble composing my thoughts. 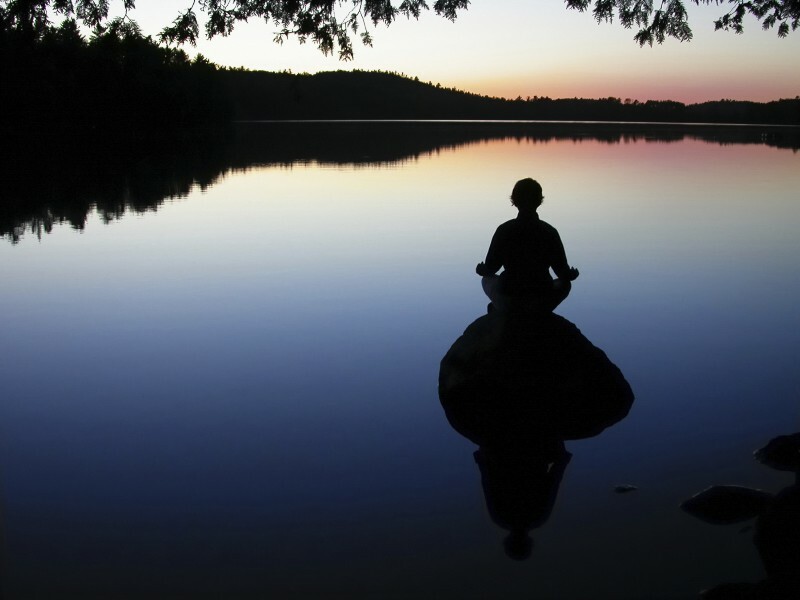 Sometimes I wish I was a meditator because then I would have balance and serenity. I mean, I'm sure I could discipline myself to meditate but who has time for discipline these days, I wonder to myself sometimes. Doesn't that look lovely? I want to sit on some rocks on a beach at sunset and zen out. But the beach is, you know, like a whole 30 minute drive from my house. And there's things to do at my house. But maybe I ought to make more time for sitting indian style and ommmmm ommmmmmmmmmmmmm ommm on the beach at sunset. Is it PC these days to say "indian style" ?? I haven't said it since kindergarten. Oh snark. I just had a disturbing thought while looking at that photo. At first I was thinking, you know, answering myself..
"(Self), that really is lovely. I could really get used to such a thing. I wish I lived on the beach and could walk out my door and be right there. And look there's no people. I wonder if I could put in some kind of order, please, no annoying people on the beach when I'm trying to meditate. I mean no people at all would be nice but how do you find such a beach where no one at all goes? So I'll just order beach time, no annoying people, yeah. That really is pleasant. Nice sunset..Wait a tic.."
"What if it's not sunset? What if it's...gasp...sunrise?" Oh no. No no. I'm not quite so sure about this meditation business. I have to rise before the sun? Here's the thing. If the sun is not ready to be up, I'm not ready to be up. I know sometimes it can be really peaceful, being up and out in the world while most people are snuggled in their beds. But if I'm going to wake that early, I know for quite certain that around 2pm I will being taking a nap. Check out this photo. Again, sunrise? or sunset? I really need to know this. And furthermore, is that a real person and if so how long have they been on that rock? Are their legs wet because it appears they had to walk in a bit of water to get to it. And the water around it is nice and calm so they must have been there for a while. But it does look peaceful. I need more info on this meditation. Maybe one day, when I'm off, I will rise before the sun, haul my happy hiney to the beach, find a rock, sit said happy hiney on it and practice. Only I hope there's no annoying people there. I would not be able to sit on that rock and meditate because I'd be too afraid I would fall asleep and fall into the lake! Hmmm, I'm thinking it's sunrise! I know what you mean about life being so "random" lately, I think I need to join you on that meditating rock! !